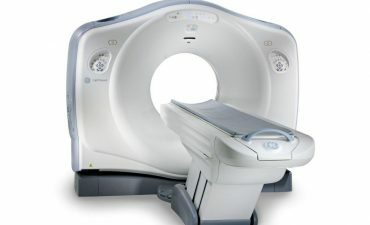 The Veterinary Emergency Urgent Care and Referral Clinic of York Region is proud to offer state of the art Computed Tomography (CT) as one of our latest diagnostic tools! CT uses x-rays to create multiple images of all tissue types inside the body. CT provides thin cross sectional “slices” for viewing. This form of imaging provides the radiologist with much more information about the patient than conventional radiography by eliminating the superimposition of structures that often complicates interpretation of radiographic studies as well as providing much more detailed images. Better assessment of geriatric patients with balance issues. Better assessment of the nasal cavity (ie. Chronic sneezing, nasal bleeding), Skull and internal and external ear canals. Excellent assessment of trauma to the skull, spine, pelvis etc. If your veterinarian is recommending or if you think your pet may benefit from a CT, please call Veterinary Emergency, Urgent Care and Referral Clinic of York Region at 905.953.5351 to schedule an appointment.